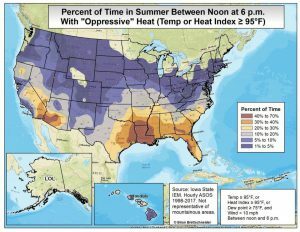 Climate and Agriculture in the Southeast | Who has the most oppressive weather? 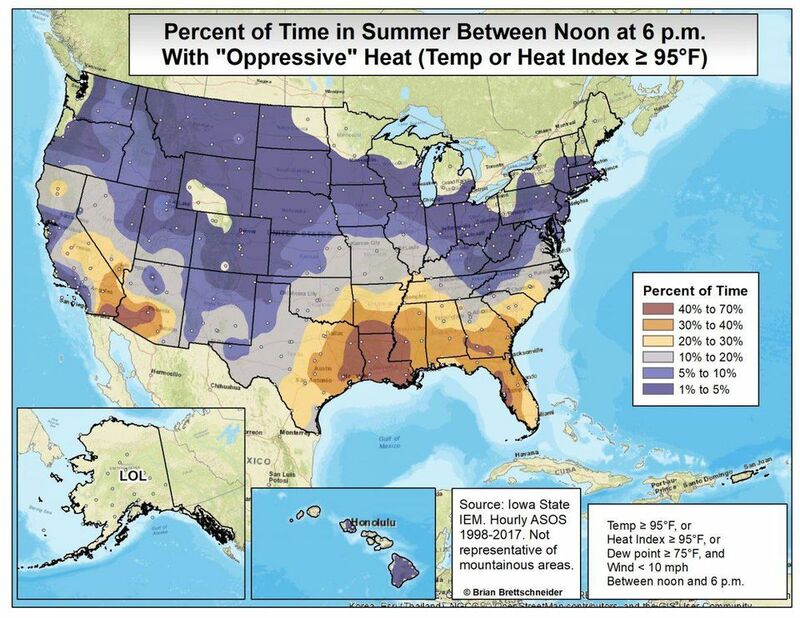 Who has the most oppressive weather? What makes weather oppressive to you? For most people, it is probably a combination of heat and humidity. Climatologist Brian Brettschneider has put together a Forbes blog post which describes how he calculated how he used climate data to calculate which parts of the US have the most days with “oppressive” weather. As you can imagine, the Southeast, does not do too well, but we are not the worst in the country, either. Read more here.